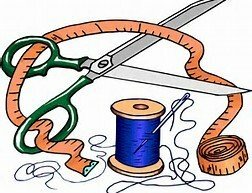 We invite you to spend the day or a few hours sewing with us her at QSE. Whether you are working on projects or UFO's, come hang out with others who have fun sewing and chatting. We can help coach you if you get stuck or need encouragement. Bring a bag lunch or we will call somewhere for lunch. Call us to reserve a spot.